From the moment you enter the Horseshow Bossier City lobby, you’ll see that we have placed luxury and comfort at the top of our priority list. There are 606 Luxury Tower Suites at Horseshoe. To ensure easy access to the hotel, casino and restaurants, they have provided 3,200 spaces of free parking and free valet service. The Sedona Spa provides a complete workout facility with Lifecycle bikes, treadmills and other exercise equipment. After a challenging workout, relax in the sauna and steam room, or receive a soothing massage from one of our certified massage therapists. Horseshoe Bossier City features 68 of the most popular table games with the best odds and the highest limits, designed to give gamblers the authentic action they can count on here – after all, the Horseshoe name has been synonymous with great table games action since 1951. Horseshoe is known all the nation over as being the home of the best odds and the biggest jackpots, and that’s why Horseshoe Bossier City has earned the loyalty of many a serious gambler. Variety is the spice of life, with over 1,500 games including 370 multi-denominational slot machines that let you play anything from pennies to dollars or higher. 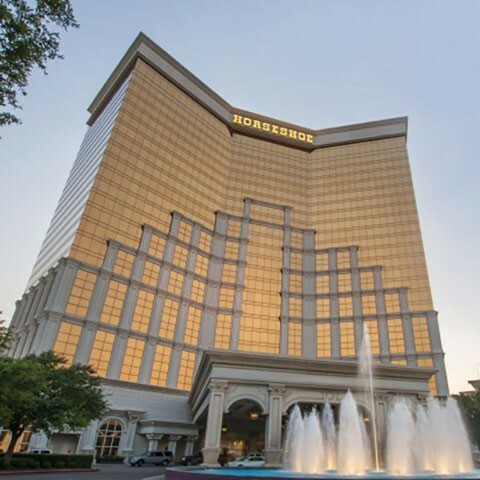 Horseshoe is also Bossier City’s exclusive home of the Binionaire slots, progressive games with jackpots that start at $100,000 at the $1 denomination, $50,000 for 50¢ gamblers or $25,000 for quarter players. Whatever kind of slots action you prefer, playing at Horseshoe Bossier City is always a sure bet.